SAN FERNANDO CITY, Philippines - The U.S. and Philippines navies kicked off Maritime Training Activity (MTA) Sama Sama at Naval Station Ernesto Ogbinar in San Fernando City, Philippines, July 9. "The name of this Maritime Training Activity, Sama Sama, - meaning ‘together, jointly’ - perfectly captures the spirit and energy of this tremendous event. The U.S. and Philippine alliance has always been a special relationship based on mutual trust and respect and strengthened by enduring maritime engagements," said Rear Adm. Joey Tynch, Commander, Task Force 73. "Built on 70 years of strong friendship and deep historical ties, our shared interest in maritime security is what Maritime Training Activity Sama Sama is all about - our shared belief that regional challenges increasingly require cooperative solutions by capable naval forces." MTA Sama Sama builds upon other engagements with the Philippines including Pacific Partnership, the largest annual multilateral humanitarian assistance and disaster relief preparedness mission, Southeast Asia Cooperation and Training (SEACAT), which involves more than a dozen partner nations, and Balikatan-34. These engagements serve to enhance information sharing and coordination and support long-term regional cooperation. 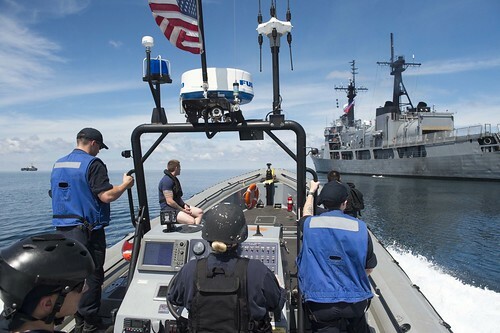 In July 2017, the U.S. and Philippine navies conducted a coordinated patrol in the Sulu Sea demonstrating a mutual commitment to responding to piracy and illegal transnational activity. Sailors from both navies exchanged best practices in visit, board, search and seizure (VBSS) techniques, as well as information sharing. "It is incredible to see all that will be accomplished during this exercise, as Sailors and Marines from the U.S. and Philippines work side-by-side across multiple domains to safely execute and engage on and under the sea, in the air, on land and in the local communities," said Capt. Lex Walker, commodore of Destroyer Squadron 7. 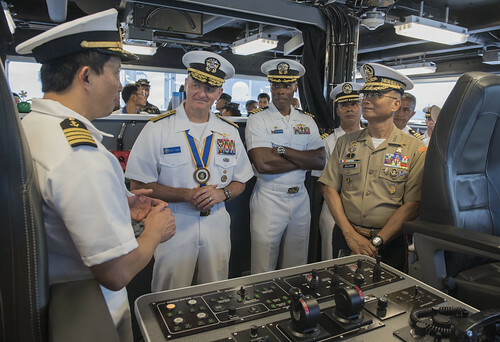 "As the MTA continues to evolve in scope and scale, the U.S. and Philippine navies will continue sailing together towards the common goals of increased maritime security and stability."